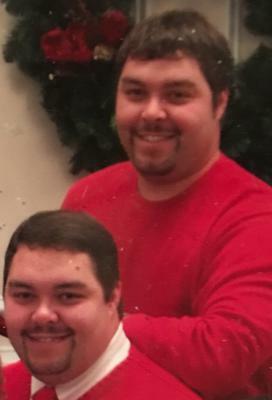 My names is Billy and I had an Identical Twin brother named Bobby. Bobby passed away on the morning of August 3, 2014 at the age of 37. Since that day I have felt lost and so alone. Bobby was my best friend and the only person I completely confided in. We were born in Eastern North Carolina into a family with deep twin roots. Early in life I hated that our mother dressed us alike all the time. But we were poor and most of our clothes were home made. As we grew up me and Bobby became very close and that was bad at times. I was more grounded and future driven where he lived in the moment. I envied that but he said he wished he could be more like me. So we would end up together in most activities. We never lived more than 5 miles apart if not next door to each other. My wife had a hard time understanding us, but one night I proved mine and Bobby's connection. I sat up in bed at around 12:30 am and told her Bobby was in trouble. I had to go and I threw on some shorts a tank top and headed to his house which was about 4 blocks away ,but I knew i needed go. I pulled up to his house and the door had one of those little windows where you could look in. On the couch surrounded by beer cans and bottles was my brother crying holding a pistol. Before me and my wife got married Bobby lived with me and I left him. My life was moving forward and he was still living the bachelor life. Well he moved in with me and my wife until he found a girlfriend and they moved in together. He finally got married 4 years ago and had a son but a pulmonary embolism took him in his sleep. We did everything together and though we had our fights we never left each other. Now I'm here alone. I pray for the holy spirit to comfort you. And may God heal you sooner than you expect amen. The best you can do is to take good care of his son.